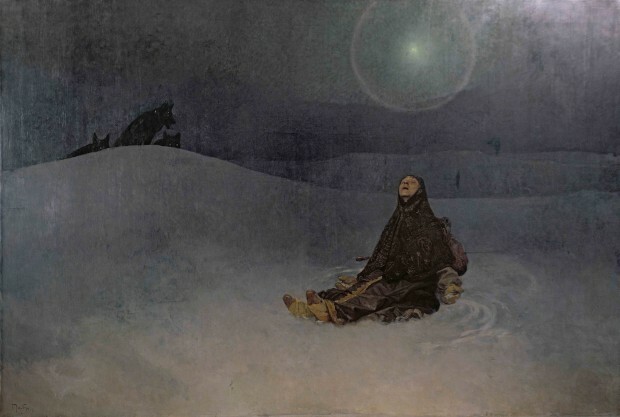 Also known as Star and Siberia, this painting could be seen to express Mucha's love for Russia and her people. As a young man, Mucha was strongly influenced by Pan-Slavism and regarded Tsarist Russia as an epitom of Slavic values. 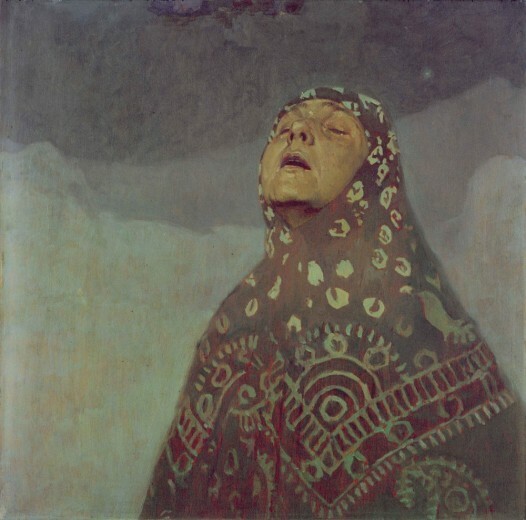 Produced in 1923, this painting may have been Mucha's response to the terrible sufferings endured by the Russian people after the Bolshevik Revolution, which culminated in the Great Famine of 1921. In this painting, a Russian peasant woman, symbolising the suffering of the nation, sits quietly with a gesture of acceptance of her inevitable fate. However, the star shining above her indicates hope and spiritual salvation.